The tangibility of love is captured through art in myriad ways, depicted in iconic works across the centuries. 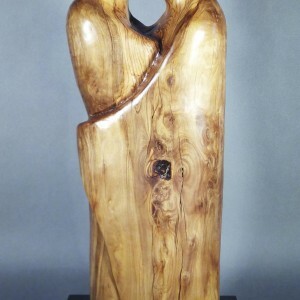 Tempestuous, tender, and soft, various mediums are employed to express the physical connection between two. 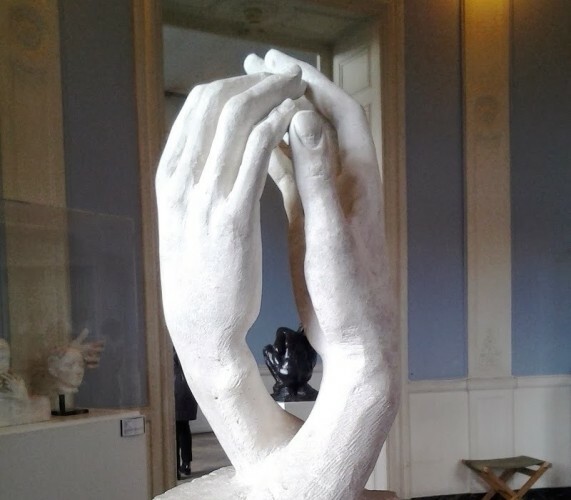 Sculptures capture in rippled stone and delicate, fleshy marble the capricious shifts woven throughout a lifetime of romantic love. 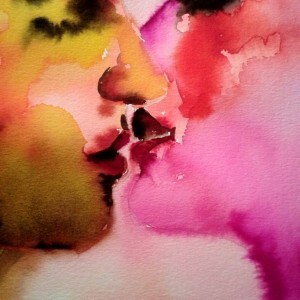 Through muddy paint or spindly lines is evoked a bodily sensation coupled with the most simple display of love – a hug or a kiss. 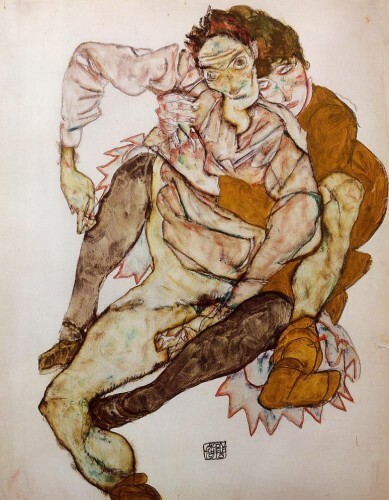 From Schiele to Rodin, trace a line through famous embraces throughout art history. 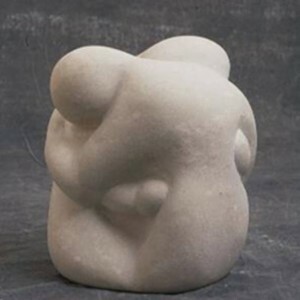 In naming this series of sculptures “Cathedral” (1908), Rodin pays homage to love as a sacred institution. 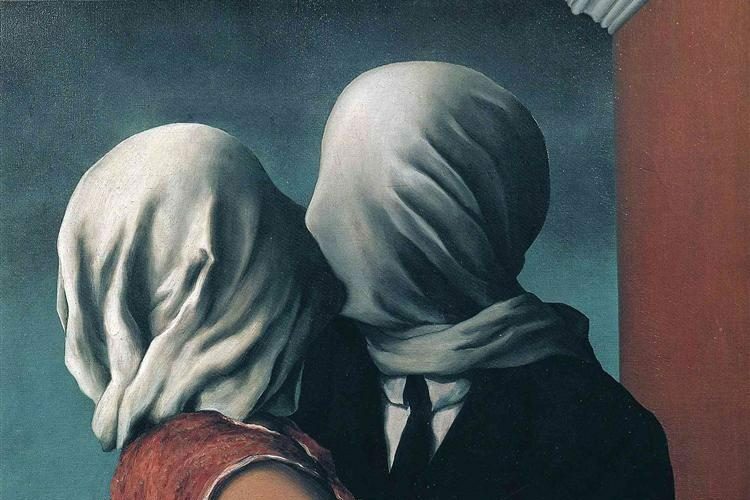 René Magritte’s “The Lovers” (1928) is a harrowing depiction of isolated love as the pair are kept apart by a mere shroud of fabric, preventing a fully loving embrace. 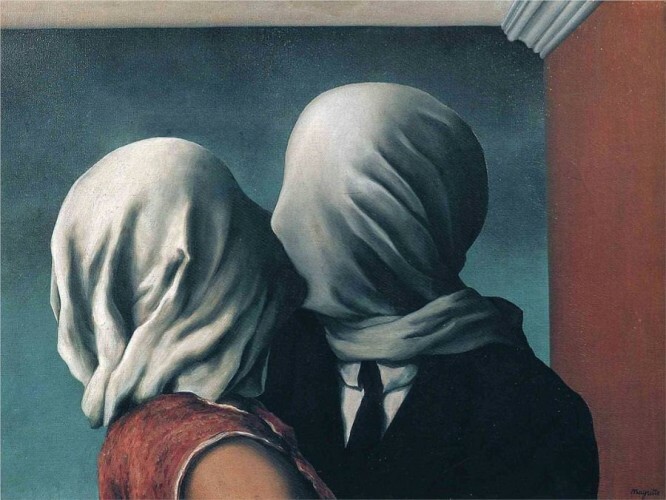 In what appears to be a contemporary photographic response to Magritte’s work above, Robert Mapplethorpe expresses the often agonizing closeness of love in his “Gasa Blanca” (1984). Egon Schiele’s “The Embrace” (1915) was the first in a series of works depicting the artist and his wife immediately after their marriage. 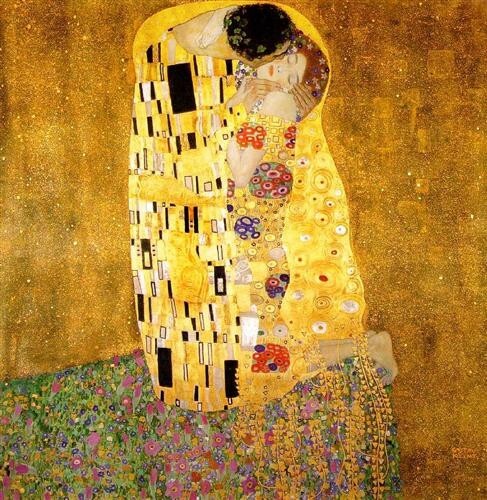 Schiele’s teacher, Gustav Klimt cemented his legacy when he created “The Kiss” in 1908; it is now perhaps one of the most recognizable images of lovers in the history of art. 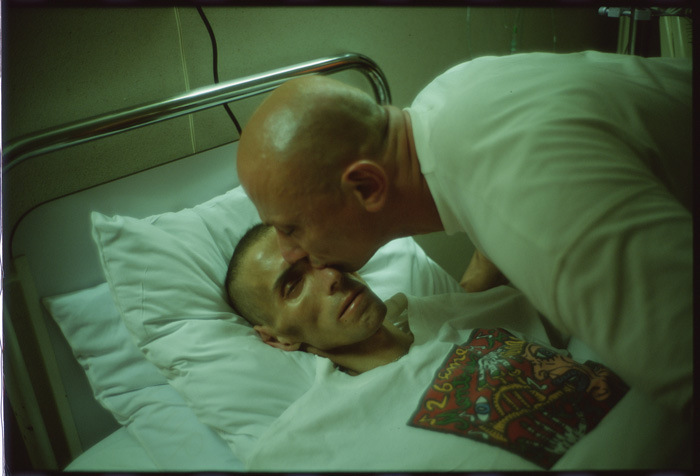 Famous for intimately photographing her friends, Nan Goldin unabashedly gave face to the victims of the AIDS crisis in her work as pictured here in “Gostcho kissing Gilles” (1993). 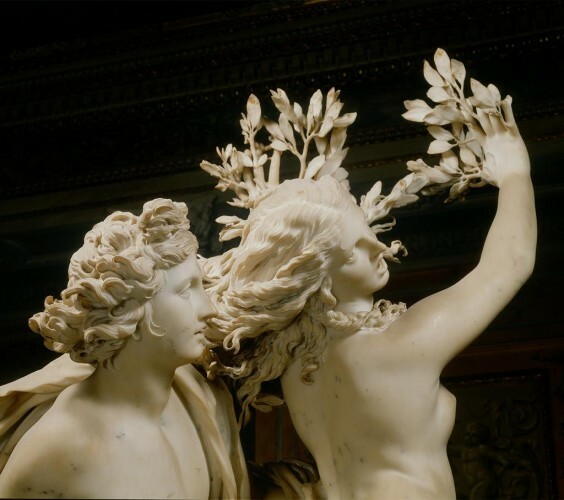 Bernini’s Apollo and Daphne (1622-25) depicts the tale of Apollo who lusts after the beautiful Daphne even after she changes form to a tree following a bout with Cupid’s love-repelling arrow. 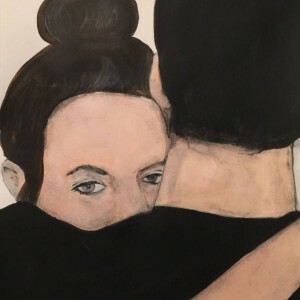 For even more beautiful images of love, explore Saatchi Art’s Gifts for Valentine’s Day Collection.